This area was created to provide stories about emergency nurses or their advocates, and what they do for our communities. Indiana ENA Chapter 131 Celebrates a "Day in the Life of an ED Nurse"
Chapter 131 had another successful “Day in the Life of an ED Nurse” experience with local nursing students. Indiana ENA members, Lesley Myers, BSN, RN, Kelly Smith, BSN, RN, Stacy Maitha, BSN, RN, Pam McGlocklin, MSN, RN and Michael Kukulka, BSN, RN assisted the students. 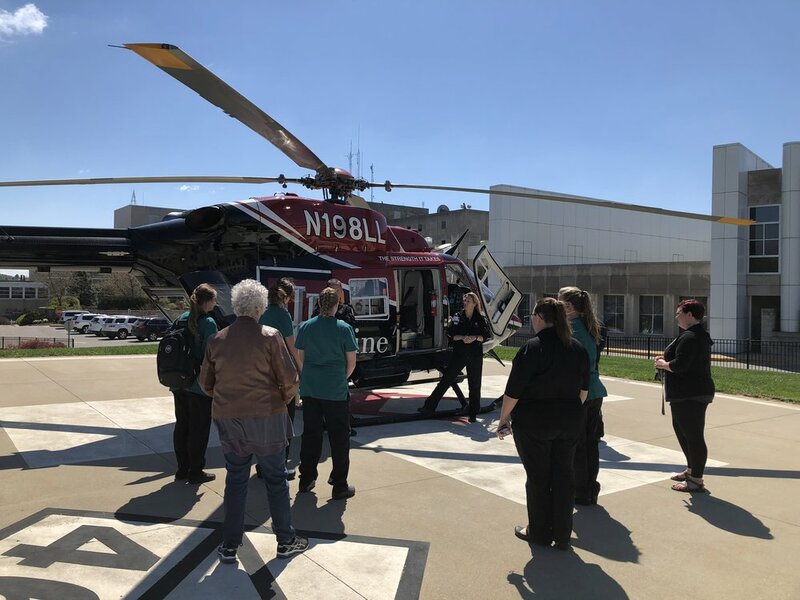 The experience consisted of an “on scene” demonstration with Bloomington Hospital Ambulance Service, two high fidelity simulation scenarios in a hospital setting, and a transportation demonstration with an IU Health LifeLine helicopter and crew. 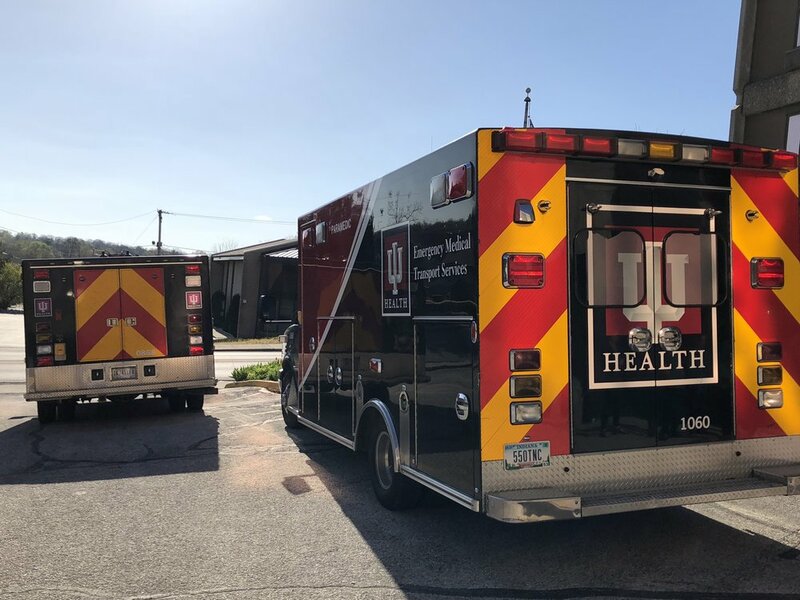 The EMS demonstration involved caring for a pediatric trauma patient involved in an ATV crash and focused on the interventions EMS can implement in the field. This helped to provide the students with the EMS perspective and challenges they face on a daily basis. It also highlighted how invaluable, necessary and how resourceful prehospital staff are in providing high quality patient care. The in-hospital simulations continued the care of the pediatric trauma patient with a focus on Emergency Nurses use ENPC and TNCC knowledge and skills to provide evidenced based care to patients. The nurses and students worked through the trauma algorithm and highlighted how nursing care is prioritized during a trauma evaluation. Our second simulation involved a patient who required cardiac stabilization. Due to the simulated patient condition, it is necessary to transfer the patient to another facility for definitive cardiac. 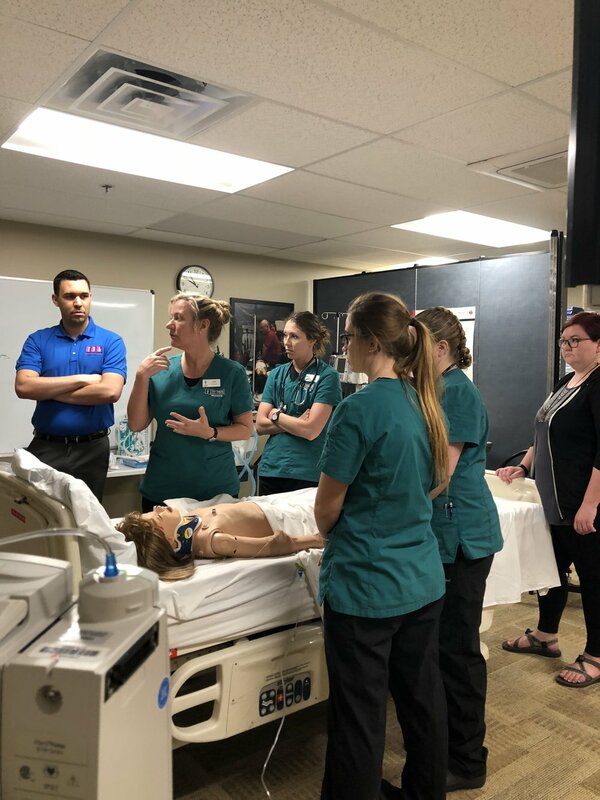 This allowed a discussion of the various levels of patient care with the students and emphasized the idea that not all hospitals are alike, but as Emergency Nurses, we need to be prepared to care for any type of patient. 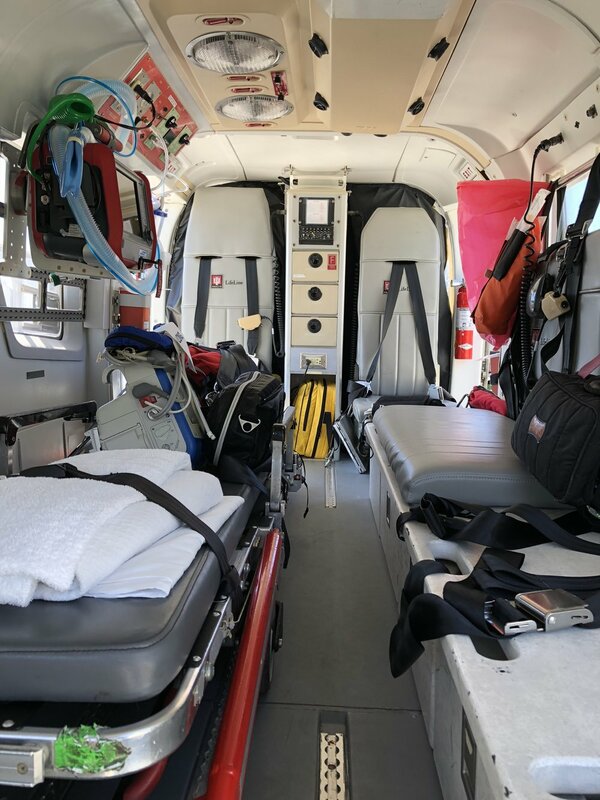 This patient scenario allowed discussion of medications, their effects on the body, and the need for continuous monitoring and reassessment throughout the patient’s stay until transport arrived. This allowed the students to have a broader sense of what considerations Emergency Nurses have to make when we work with limited capabilities at smaller, critical access or rural hospitals. The final simulation tied right into IU Health LifeLine discussing their role and capabilities. It allowed the students to explore a working medical helicopter and speak with the crew and pilot. 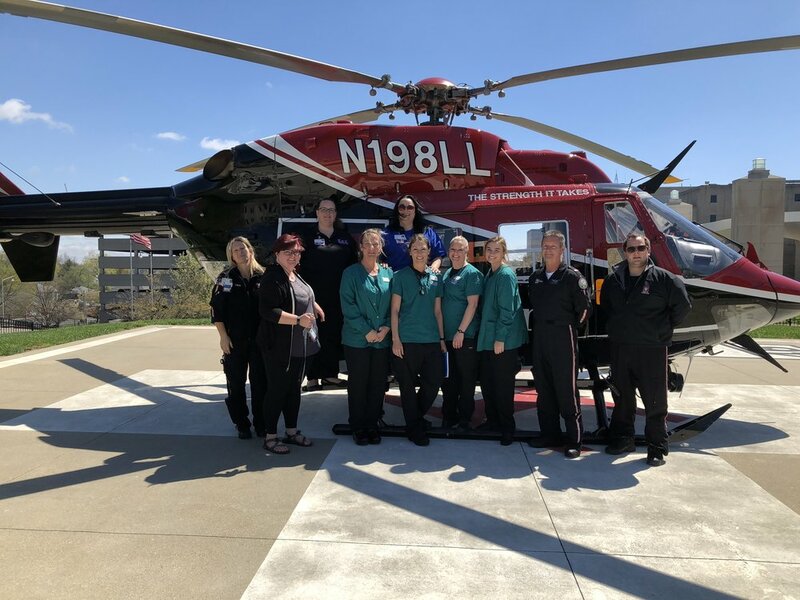 The “Day in the Life of an ED Nurse” is an annual event developed and presented by members of the Indiana ENA Chapter 131 as our way to give back to the profession and show what Emergency Nurses do on a daily basis.